And more news on "Earpod headphones"
Just hours to go - who's excited? Just hours before Tim Cook takes the stage in San Francisco to unveil the iPhone 5, more information on the sixth generation handset has made it on to the web, with new headphones on the cards. According to 9to5Mac sources the new iPhone will come bundled with new "Earpod" headphones, as we witness Apple ditch its famous, but leaky and uncomfortable, design which has partnered previous iPhones and iPods. A leaked image claiming to show off the "Earpods" appeared online last week, and the latest report suggests you'll be able to pick up a set for $29 (around £18) – that's if they actually exist. There's been a lot of talk regarding the dock connector on the iPhone 5, with rumours suggesting the Cupertino firm will do away with the iconic 30-pin port, in favour of a smaller 9-pin offering – something 9to5Mac sources claim will be dubbed 'Lightning'. Apple already offers a Thunderbolt port on its Macs, so the mooted name does fit into this fruit-shaped puzzle, plus it suggests the new connection will allow for faster transfer speeds to and from the new iPhone. The iPhone 5 release date is still currently unknown, but with the announcement of the new handset coming later today, we expect it to hit stores before the end of the month, meaning you'll be able to check out the new features for yourself very soon. If you're wondering what you might be able to expect from the new iPhone take a look at our rumour round up video below. 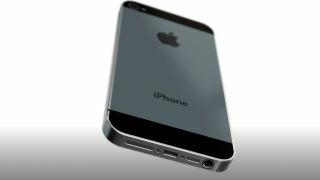 TechRadar has joined forces with uSwitch to bring all the latest iPhone 5 pre-order deals from all the UK networks right to your inbox. Sign up here.